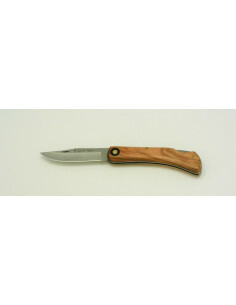 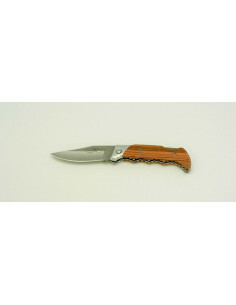 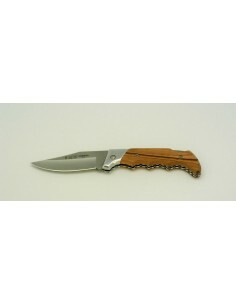 Hunting folding knife Guayacan climber model by NIETO. 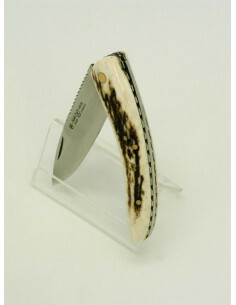 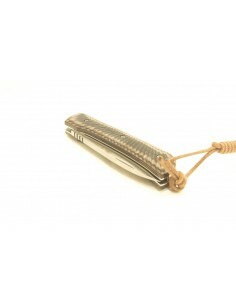 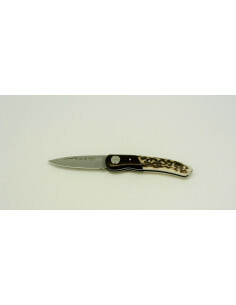 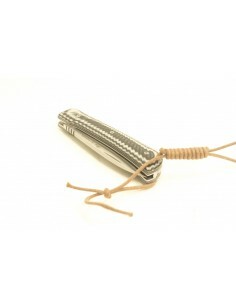 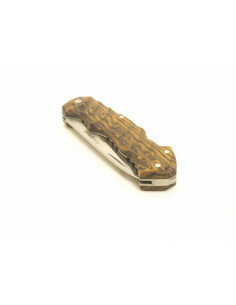 Hunting folding knife climber model manufactured by Cutlery Nieto from Albacete (Spain), AN 58 stainless steel blade, hollowed blade, liners of stainless steel, slipjoint spring decorated. 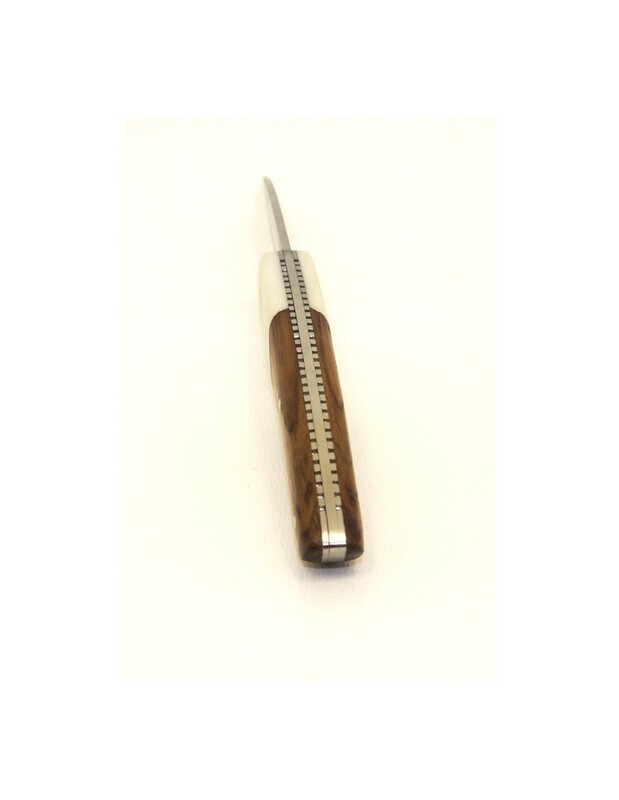 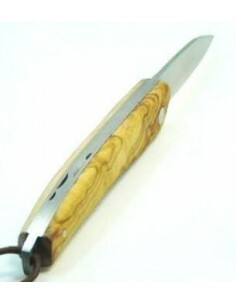 Combined scales of white Mikarta and Guayacan wood and with spiked of stainless steel. The Mikarta is a synthetic material made of different types of resins and fabric. 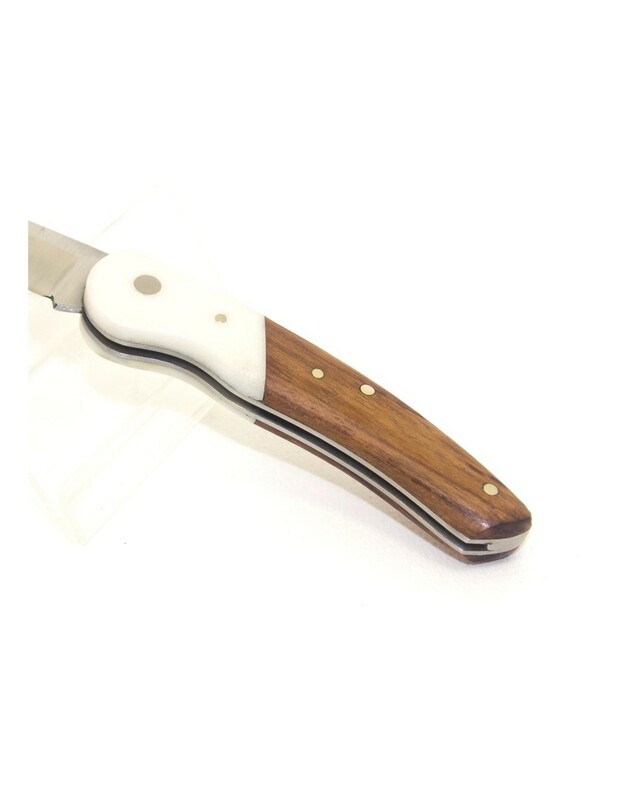 Guayacan is a common name which includes several species such as Handroanthus,Tabebuia, Caesalpinia, Guaiacum y Porlieria, all of them found in tropical region of America and with the same feature, very hard woods, density or specific weight higher than 950Kgr/m3. 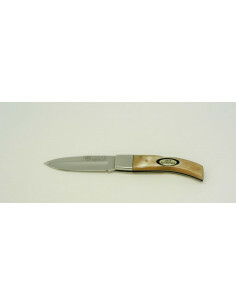 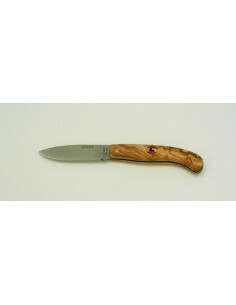 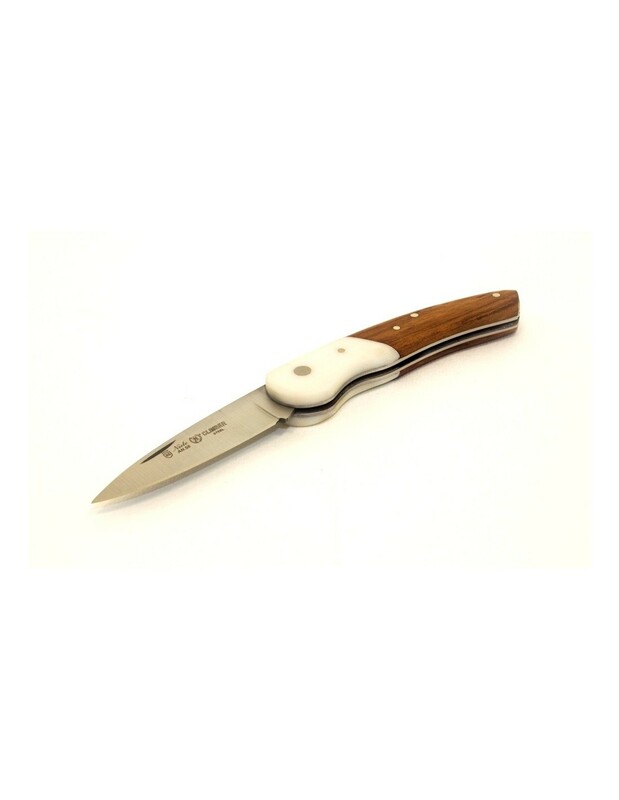 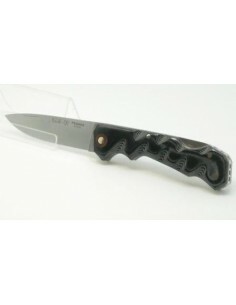 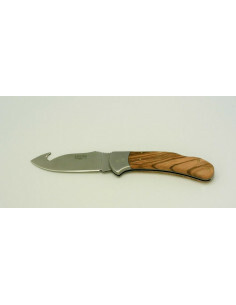 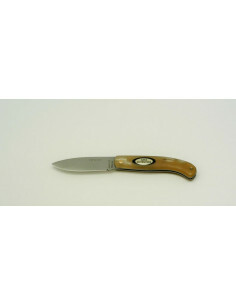 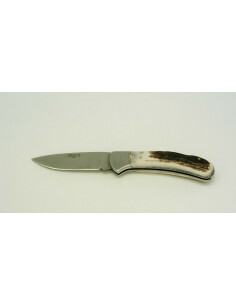 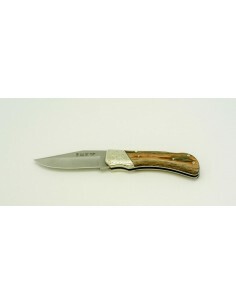 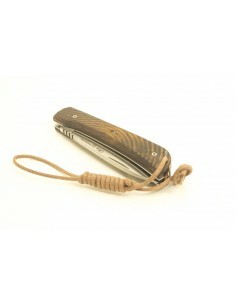 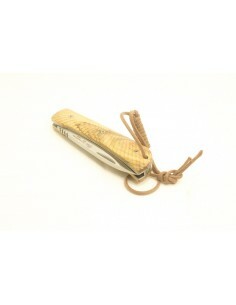 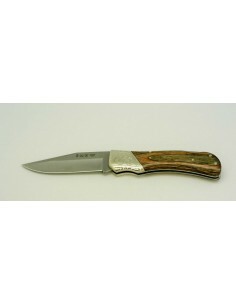 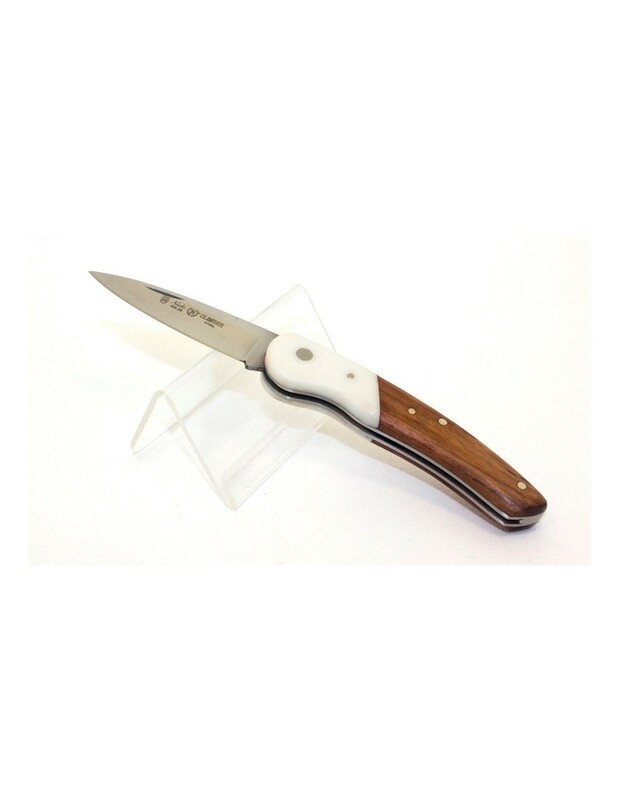 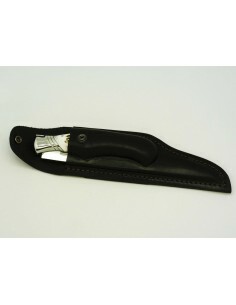 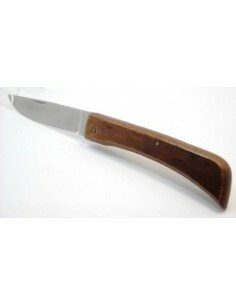 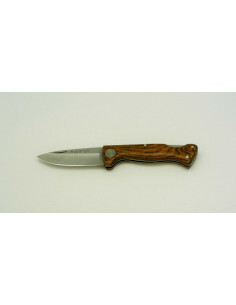 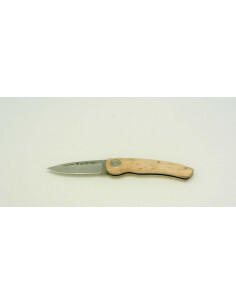 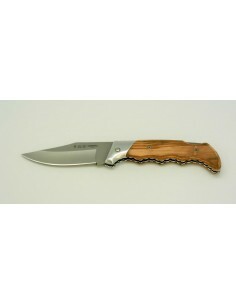 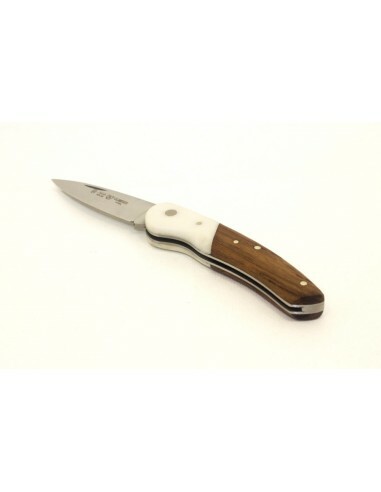 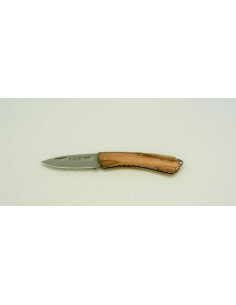 Characteristics of hunting folding knife Guayacan climber model by NIETO.